As I’ve mentioned a few times before, my favorite queue for any attraction in Disneyland is the queue for Roger Rabbit’s Car Toon Spin. I love it perhaps even more than the ride itself, because of the masterful immersion the Imagineers achieved with such a tight space. 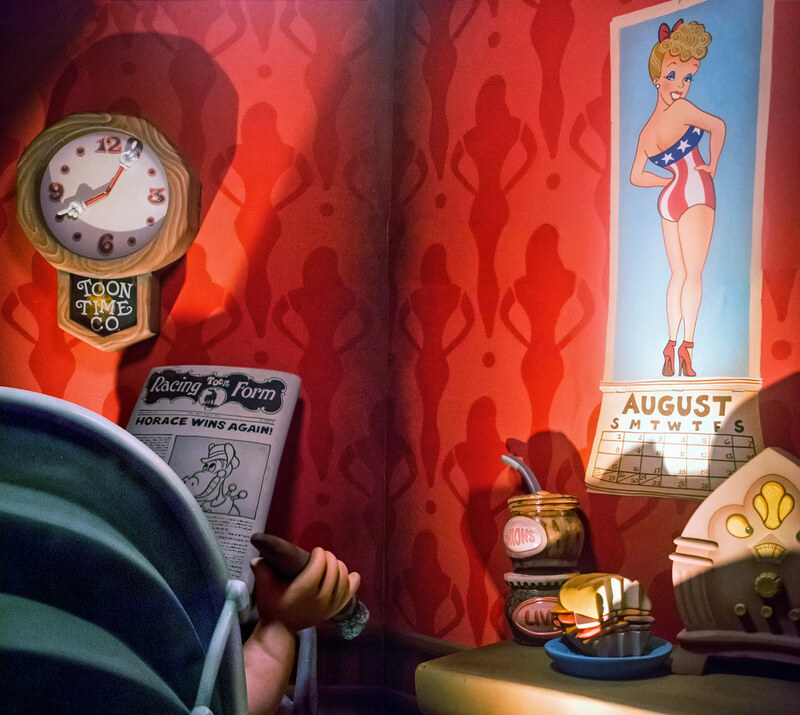 And today we’re taking a look at one of my favorite parts of that queue: Baby Herman’s apartment. Hearing his voice, and seeing his hand bobbing up and down with that cigar, is just enough to make you believe that a cantankerous cartoon baby is sitting inside of that pram through the window. This entry was posted in Toontown and tagged animation, animatronic, baby, dark ride, Herman, queue, Roger Rabbit's Car Toon Spin, Toontown, who framed roger rabbit. Bookmark the permalink.